We even supplied the players with their own personal caddies for the day, courtesy of SALJGA - our junior golf programme. 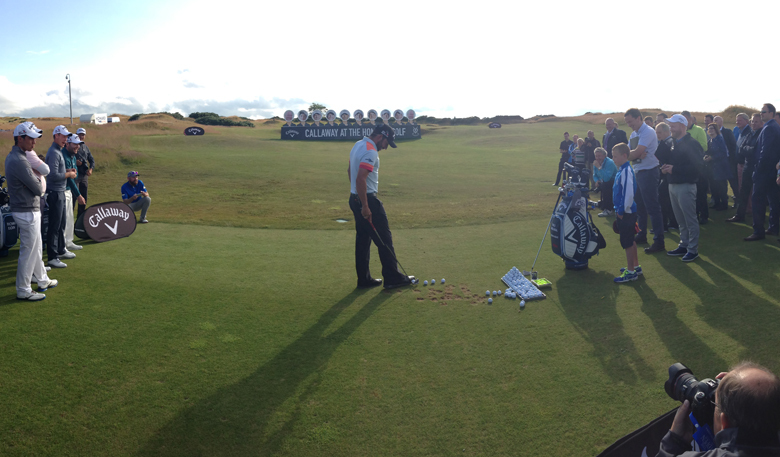 During the Open Championship in July, The Castle Course played host to St Andrews Links’ Equipment Partner Callaway Golf for a very special event. 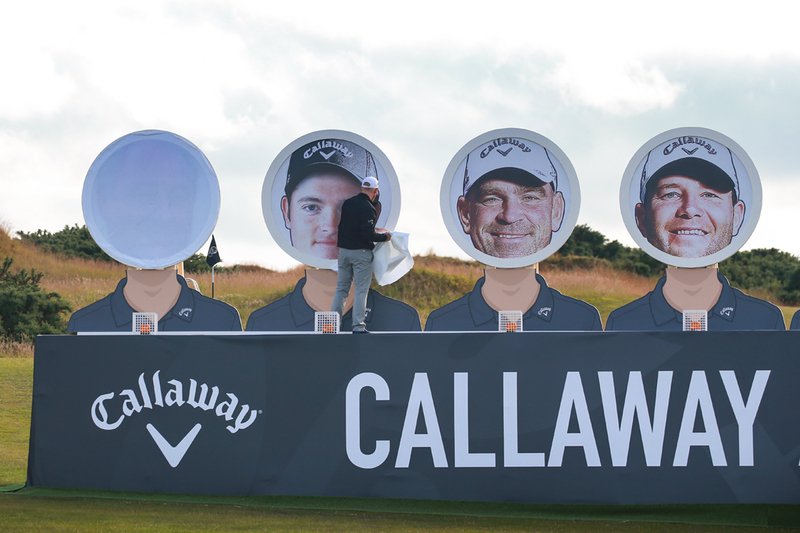 The Shootout Gallery was set up on the practice range and some of Callaway Europe’s finest staff players took on the challenge of taking out their fellow professionals. Above: the scene is set. Below: the big reveal. 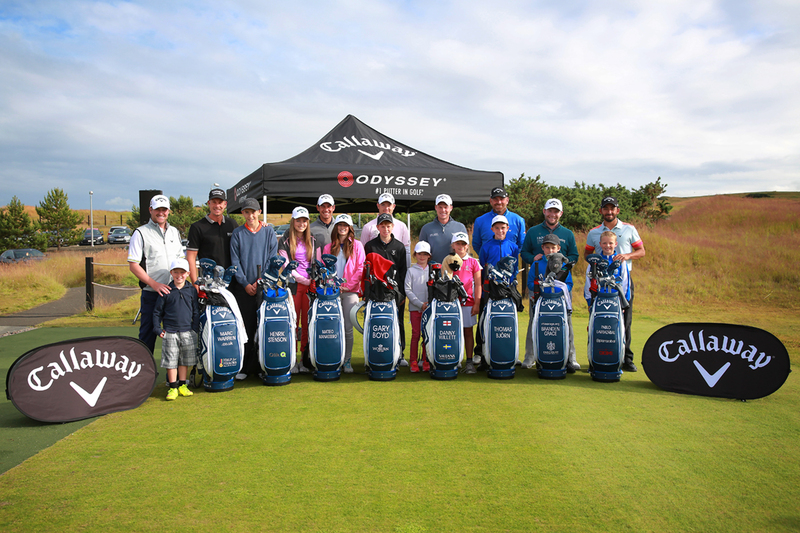 We were delighted to welcome a plethora of golfing talent in Marc Warren, Henrik Stenson, Branden Grace, Pablo Larrazabal, Danny Willett, Thomas Bjorn, Gary Boyd and Matteo Manassero to take on the challenge. We even supplied the players with their own personal caddies for the day, courtesy of SALJGA – our junior golf programme. 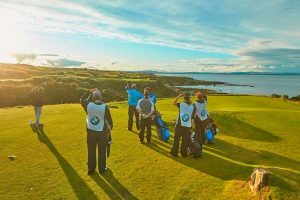 The lucky SALJGA members had a great experience spending time with the players and even picked up a few tips on keeping the ball low – a very handy shot in links golf. Now to the food! 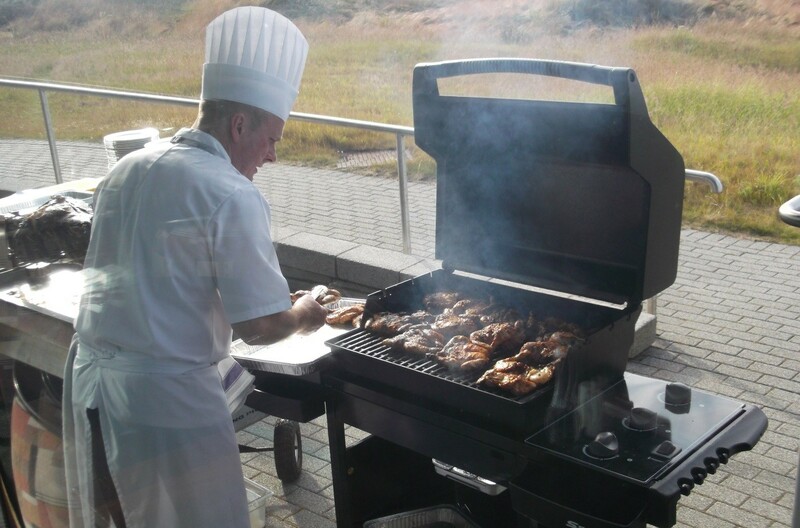 As we were blessed with a beautiful (if somewhat rare) summer’s evening at The Castle Course, we treated the guests to a sizzling BBQ which showcased a fine selection of Scottish food and drinks. 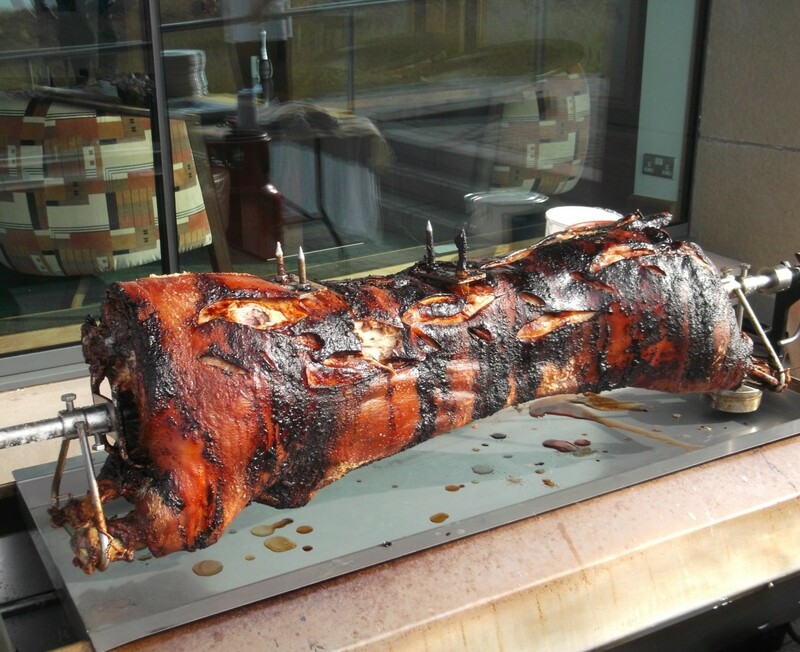 The show stopper was undoubtedly the hog roast which went down a treat. Also on the menu was the finest Scotch Beef burgers and juicy spatchcock chicken locally sourced from our Perth butcher. Here’s Chef Kevin working his magic behind the grill. Now we all know a summer menu isn’t complete without some delicious summer fruits! 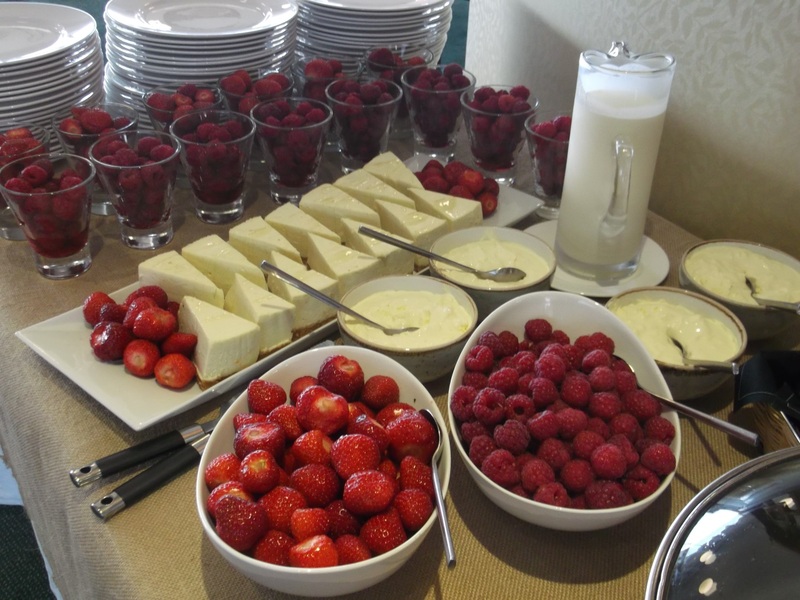 We polished things off with homemade cheesecake with locally picked strawberries and raspberries. 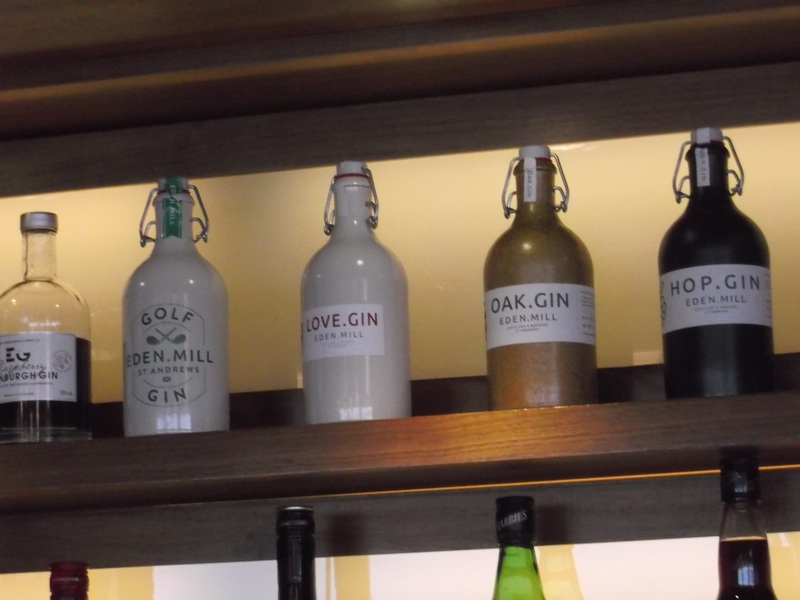 Wash it all down with a selection of gins from the Eden Mill distillery located just outside St Andrews and you’ve got yourself the perfect BBQ! 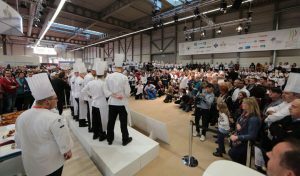 The event itself was a great fun and an all round success so we’d like to thank our Equipment Partner Callaway for making it happen. Also, a special mention to the staff players who took time out of their Open Championship preparations to come along and wow the guests here at The Castle Course. Words by Margaret Collins, St Andrews Links F&B Dept.